Family run hotel with warm and friendly hospitality. Alajuela, 1 mile from San José airport. Trapp Family Country Inn is open year round. 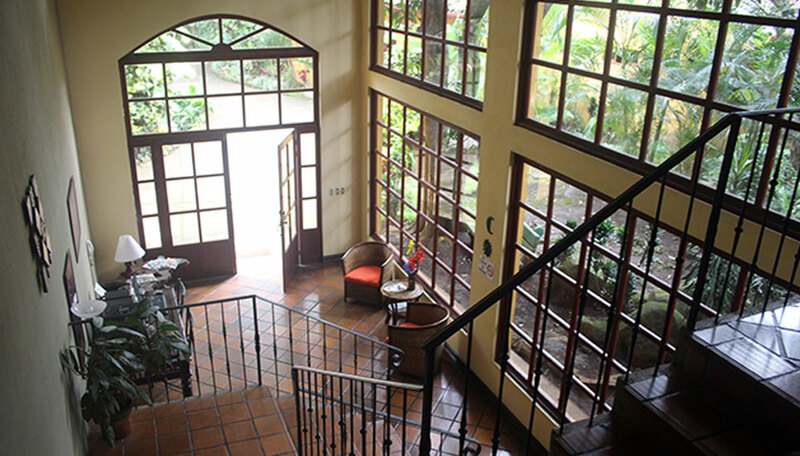 The Trapp Family Country Inn is a great starting or ending point to your visit to Costa Rica. The hospitality here is very friendly and helpful, you will be welcomed like one of the family. 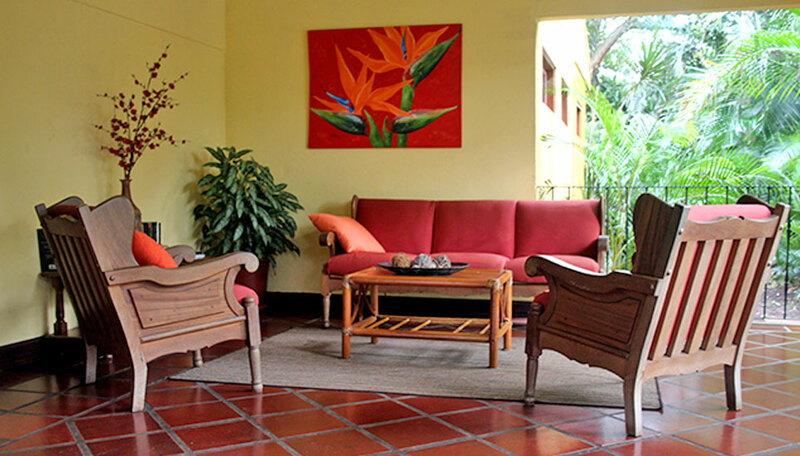 There are just eight rooms, each simply furnished with bright, light décor and dark wooden furniture, made locally. 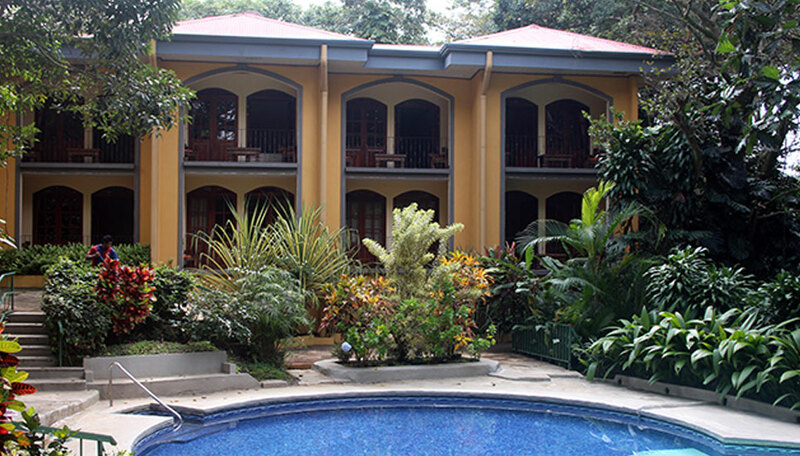 The rooms all have large doors leading to a balcony or veranda with views over the pool and the beautiful gardens, filled with tropical plants and large fig trees, which attract the birds. 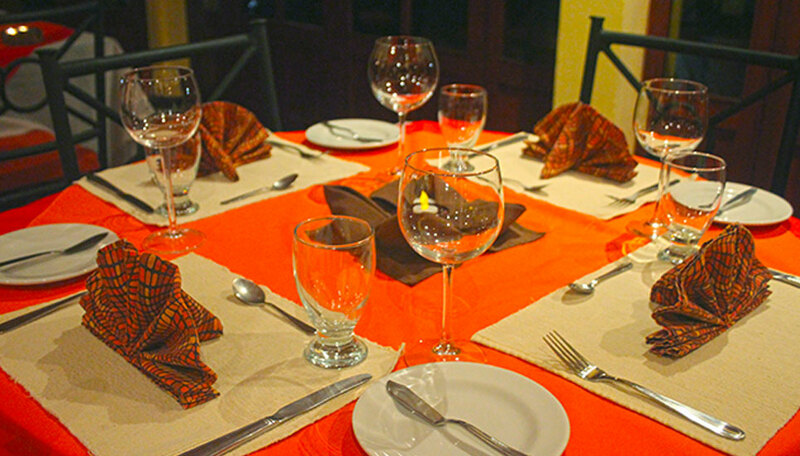 There is a restaurant where you can enjoy a sumptuous Costa Rican breakfast each morning. Other meals are available at set times, with a set menu, good home cooking is on offer, or you are free to explore the town and sample one of the local restaurants instead. Why go to Trapp Family Country Inn? Just one mile from the airport, this is the perfect place to stay, either at the beginning or the end of your trip. 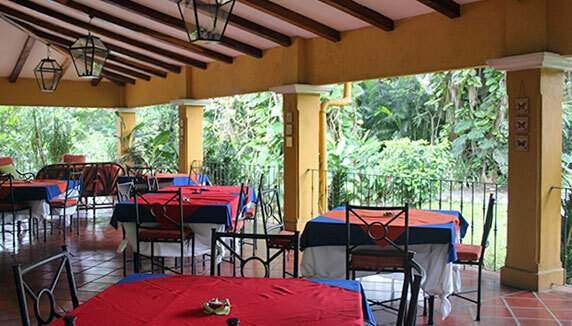 Alajuela is a lively town and it has good shopping and some great local restaurants and cafés to try. Location wise, it is perfect for visiting San José if you do not want to stay in the city itself, and it is also easy to visit outlying towns and areas such as the volcanos from here, Irazú, Poás and of course the ever popular Arenal – all accessible on day trips. Within the well-established beautiful gardens, you can relax and take in the sights and sounds of nature. There is always plenty of birdlife in the gardens and you can start off your spotting list here. Visit some of the nearby national parks for a more varied insight into the flora and fauna that Costa Rica has to offer. 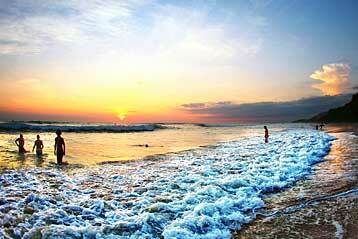 It’s possible to enjoy several different day trips from the hotel. The Highlights Tour or 4 in 1 Tour. Breakfast is included in your stay. There are just 8 spacious rooms at the Trapp Family Country Inn. All have en-suite facilities with hot running water and a bath. Each has a balcony or veranda that looks out over the pool area and the beautiful gardens. The rooms have 2 queen size beds, telephone and hairdryer. They are simply furnished, uncluttere, clean and bright. There are splashes of colour in the soft furnishings and paintings that adorn the walls. Children are welcome at the Trapp Family Country Inn, reduced rates are available. Internet connections are available. All rooms have telephones for local and international calls.